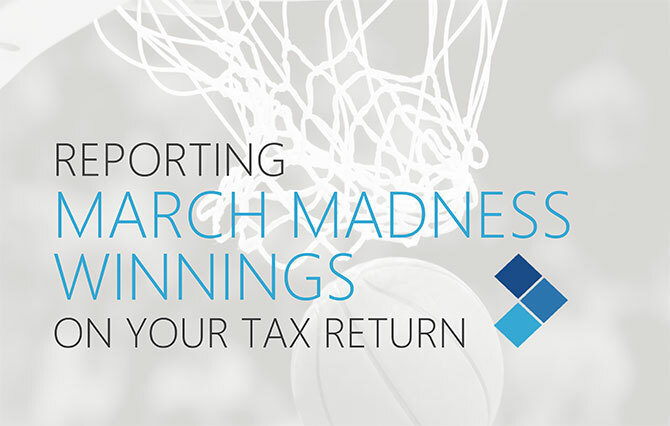 That’s right, folks – it’s basketball season, and while you’re sitting back to see how your winning bracket strategy actually plays out in March Madness, it’s a good time to review how to handle taxes for your potential prize money. Whether you’re planning to rake in the dough by placing serious bets at a Las Vegas Sportsbook, or just dabbling in the office March Madness pool, you are required to report all gambling winnings on your tax return. Period. This is where you get a little sad (insert brief pause for moment of sadness), but before you give up all hope, let’s take a closer look at reporting gambling winnings and losses on your taxes. Planning on winning big? Best of luck, we’re pulling for you to win big – and if your win is both 300 times what you bet and over $600, expect to receive a Form W-2G in the mail from the gaming organization. This means your winnings were officially reported to the IRS for tax purposes. Congratulations?! Form W-2G will list how much you won and the amount you’re required to withhold for taxes: a whopping 25% (gulp) of all your winnings. If the gaming organization doesn’t withhold tax from your winnings, you may be required to pay those taxes yourself in the form of estimated tax payments. When you file your taxes, you’ll report your winnings (everything you won minus the bet you placed) onto line 21, “Other Income,” on your Form 1040. That W2-G we mentioned above will have the exact numbers. If you didn’t receive a W2-G, you’re still required to report the income on your tax return. Not so lucky? The IRS allows you to claim your gambling losses as a deduction, so long as you don’t claim more than you won. Here’s what that looks like: Let’s say you win $2,000 and lose $200. You’d report $2,000 of the winnings as income and then deduct $200 on Schedule A (the form for itemized deductions). If, on the other hand, you made $2,000 and lost $2,500, you still have to list the $2,000 as income but could only deduct $2,000 on Schedule A. Since you only had $2,000 in winnings, you can’t deduct $500 of your $2,500 loss. If you won money and lost money, you have to report those amounts separately. 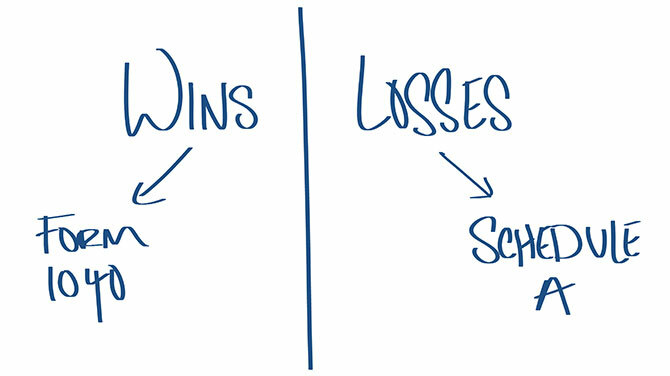 You can’t simply subtract your losses from your winnings and report what’s left over – the math is the IRS’s job. If you are going to deduct gambling losses, you must have receipts, tickets, statements and documentation such as a diary or similar record of your losses and winnings. And even your records – which you should keep as proof of your gambling outcomes – should show your winnings separately from your losses. We wish you the best March Madness luck - whether you’re betting with the big dogs or putting teams in the brackets based on your favorite colors in hopes of winning a drive-thru gift card!